New analyses of tiny fossil mammals from Glamorgan, South Wales are shedding light on the function and diets of our earliest ancestors, a team including researchers from the University of Southampton report today in the journal Nature. 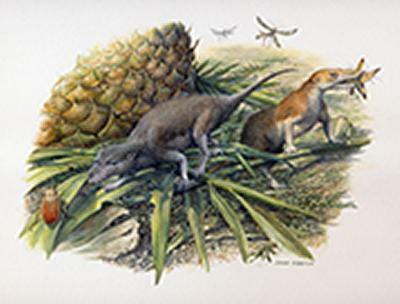 Mammals and their immediate ancestors from the Jurassic period (201-145 million years ago) developed new characteristics – such as better hearing and teeth capable of precise chewing. Using an analysis previously carried out on the teeth of present-day, insect-eating bats, the researchers found that the teeth of Morganucodon and Kuehneotherium had very different patterns of microscopic pits and scratches, known as 'microwear'. This indicated they were eating different things with Morganucodon favouring harder, crunchier food items such as beetles, while Kuehneotherium selected softer foods such as scorpion flies which were common at the time.